Spring has officially sprung, but the Bay Area once again faced a winter-like day Wednesday. And it's expected to keep up into Thursday, forecasters say. Another round of wet weather featuring sub-tropical moisture brought scattered rain and gusty winds to the region during the morning hours before the brunt of the storm arrived Wednesday night. Rain and few storms will be possible this afternoon. Heavier downpours arrive tonight. 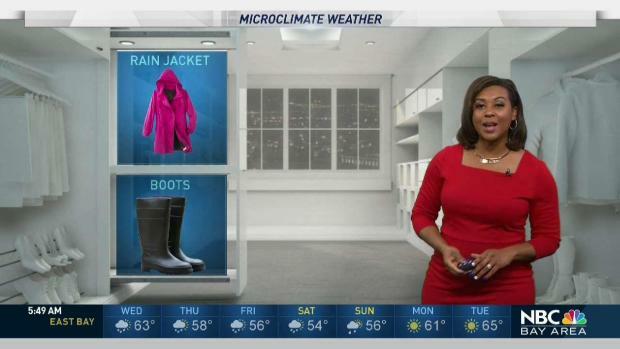 Meteorologist Kari Hall has details in the Microclimate Forecast. Thanks to this week's wet weather, as much as 3 to 6 inches of rainfall could fall across coastal mountains through Thursday, according to the National Weather Service. An estimated three-fourths to 1 1/2 inches of rain is expected to fall across cities immediately surrounding the San Francisco Bay while anywhere from one-half to 1 inch of rain will accumulate in some inland locations. 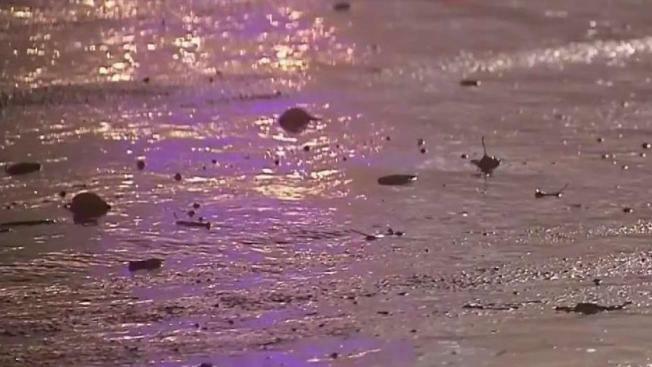 The off-and-on rain has already triggered flooding on some Bay Area roadways, including northbound Highway 101 near Lucky Drive in Larkspur as well as westbound Interstate 80 near Interstate 680 in Solano County. Bay Area drivers are advised to keep an eye out for ponding as well as debris on roadways, weather officials said. Wind speeds are expected to top out anywhere from 15 to 30 mph, according to the NWS. Some gusts could peak around 40 mph, leading to possible power outages. Isolated thunderstorms with small hail are also possible Wednesday and Thursday, according to the NWS.